The main component is the micro powder of tungsten carbide powder is (WC, TiC), cobalt (Co) or nickel (Ni), molybdenum (Mo) as a binder, mix them under certain volume. After mixing granulation then take the raw material powder into the mold for stamping molding, to make it with the similar hardness to chalk. To sinter carbide in a vacuum furnace or hydrogen reduction furnace under the temperature of 1400 ° into tungsten carbide, then grind and process it by diamond wheel into the desired shape and edge geometry, then deposit coating, which has a strong protection, anti-acid, oxidation and wear resistance, etc., which may increase in tool life a lot, improve the surface quality of work piece, increase manufacturing efficiency and high quality rate. In addition to the carbon and tungsten, of course it’s also plus cobalt and other alloys to increase its mechanical properties. 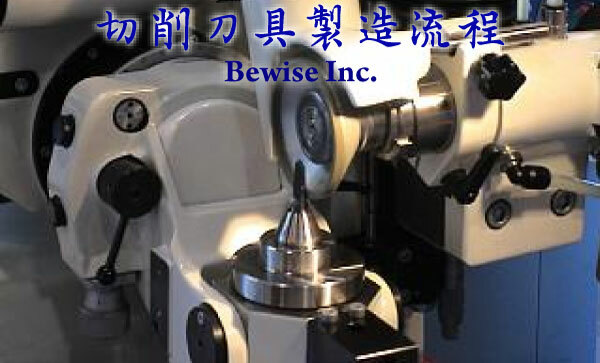 Tungsten carbide is very hard, so it is often used to make cutting tools. The mechanical properties of tungsten steel consists of two parts, the first part is the cobalt content, which higher the content means the lower hardness, but the toughness is better; and the other is the powder particle size, the smaller the more wear-resistance, however it is more costly. Hot hydrostatic or thermal condensation (Hot isostatic pressing, or HIP) is a kind of production technology combining high-temperature and high pressure, the heating temperature is usually at 1000 to 2000 ° C, by high-pressure inert gas in a sealed container or nitrogen pressure transmission medium, working pressure up to 200MPa. The joint effect of high temperature and pressure, the work piece may be pressed evenly on each side. So the processed products have benefits like high density, good uniformity, and excellent performance. Meanwhile, the technology has some characteristics like short production cycle, less production process, low energy, and less consumption of material loss.